A design duo reimagines a neglected Spanish Revival in Sacramento, adding light, color, and graphic tile. 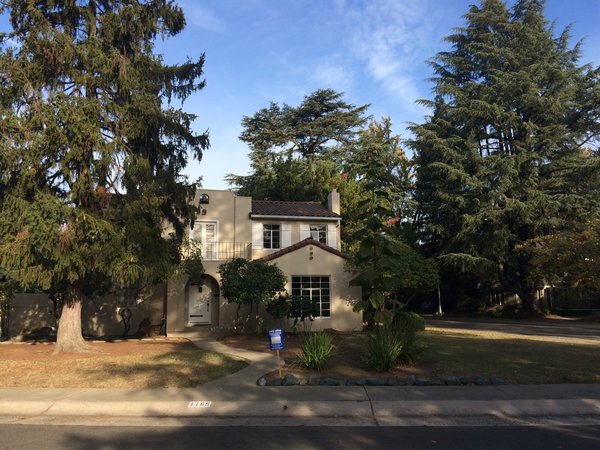 Having gone untouched for some 70 years, this 1935 home in the Land Park neighborhood of Sacramento was in dire need of being updated when Christina Valencia and Kele Dobrinski bought it. 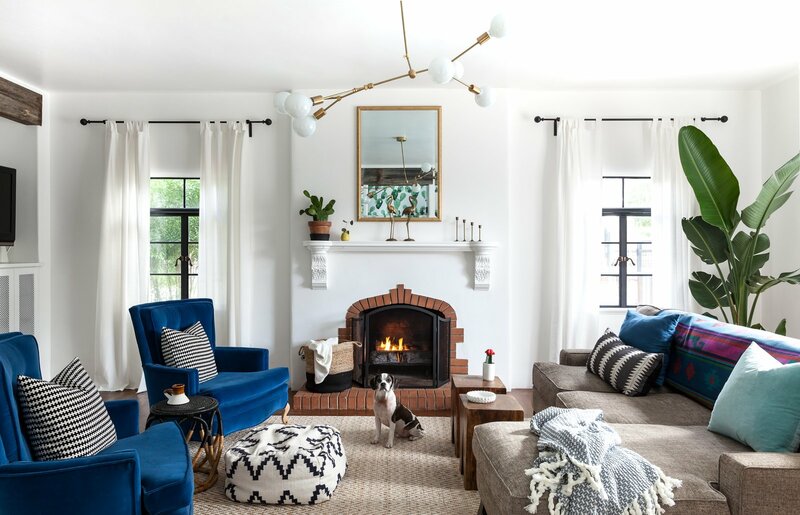 The couple, founders of the multifaceted design studio Colossus Mfg., took the opportunity to tweak the layout for modern living and weave in a palette of high-contrast finishes, all while retaining many of the home’s characterful elements. Before: Since the house had sat so long unattended, the renovation required the couple to install all new plumbing and electrical, as well as a new HVAC system. Still, that neglect is what endeared them to the project: “It needed some serious love…which is what made it a gem to us, as it was being overlooked by others who saw it as too big of a project to tackle,” says Valencia. The couple introduced new landscaping and privacy walls, one of which screens off a new pool in the front yard. 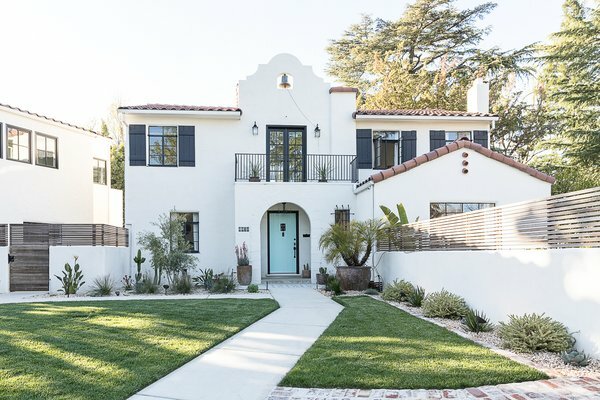 The exterior received a fresh coat of white stucco, architectural embellishment around the bell, and black paint on shutters and original metal windows. 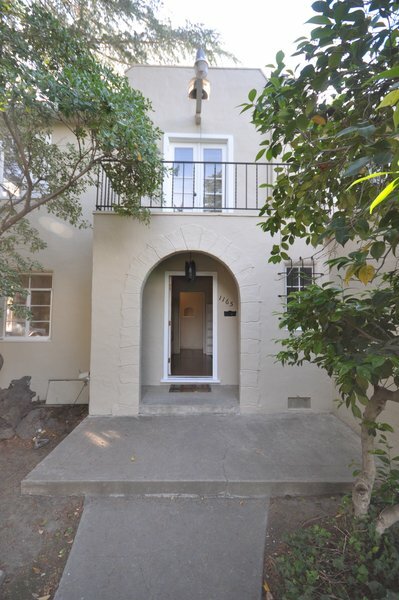 Before: The entry needed updates to enhance its curb appeal.